HBO's hit show Game of Thrones has garnered lots of acclaim since it began in 2011. A big part of the show's success is definitely down to the phenomenal sites scenes are shot at and shooting locations read like a hit-list of top places to travel to before you die..
Northern Ireland is like a mini treasure hunt in terms of filming locations for Game of Thrones. First on your checklist should be the stunning Castle Ward, aka Winterfell, in Down which boasts a 820 acre walled demesne with both Classical and Gothic architecture on show. Other sites in Northern Ireland include Ballintoy Harbour(The Iron Islands), Downhill Beach(Dragonstone), Inch Abbey(The Riverlands) and Cushendun Caves(The Stormlands). Fans of the show have long admired the beauty of Kings Landing and you can find the real version of the city in the Croatian city of Dubrovnik. The city itself is a UNESCO site and the old walls meeting the sea was the perfect image to convey the power of Kings Landing. Scenes for the city of Qarth were also shot in Dubrovnik. 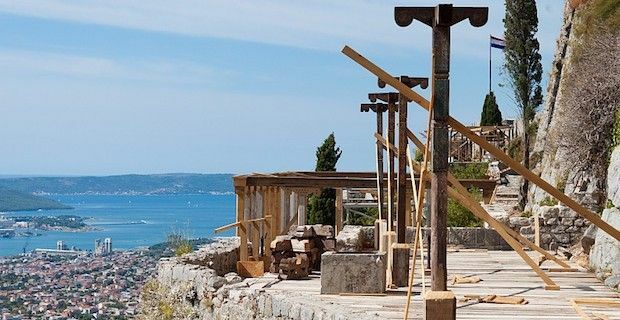 There are also some great sites to visit around Split including the Kill Fortress and the Water Mill. When it came to realising the world beyond the wall then Iceland well suited with expansive and cold scenery. The beautiful Lake Myvatn is where the Wildlings roam around after Jon Snow joins them. Thingvellir also provides the setting for scenes in Season 4 and it is home to the largest natural lake in Iceland - Þingvallavatn. Morocco is perfect in every way for the scenery Daenerys Targaryen has to traverse on her quest to return to Westeros. Ait Benhaddou, aka Yunkai, is a stunning fortified city which has been designated a UNESCO site. Essaouira, aka Astopor, is another UNESCO walled city well worth a visit with some stunning architecture and winding streets to explore. PHOTO GALLERY: What to visit in Morocco? For the more detailed and intimate shots of Kings Landing, Malta provided old and feature rich buildings. The Red Keep scenes are all shot in a series of feature rich buildings including the presidents house, the San Anton Palace in Attard.